Ucweb 7.9 was officially released on 22 September. 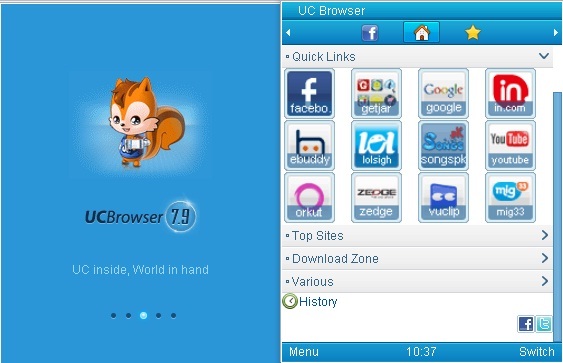 There is no much change in features and appearance in Ucweb 7.9. Its just the upgraded Version of Ucweb 7.8. 1. Auto Notification between night mode and day mode. 4. Fixed access connection timeout error--Fixed timeout problem during webpage browsing. 5. Fixed image loading failure--Fixed timeout error in loading image. 6. Optimized Cache management--Cache will be adjusted automatically.You don’t need to reset and clear Cache manually anymore.